Thanks to Mike Wolff (@metallicwolff) for the nomination for Inklings Press and our space here over at the Altered Instinct blog. 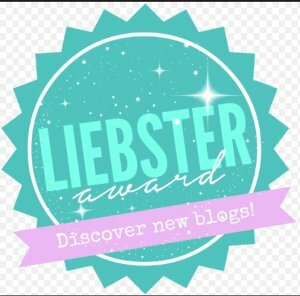 The Liebster Award aims to point people at new blogs - which is a pretty great idea. We'll have our nominations down below. You can also find Mike's entry here. Mike nominated both ourselves and blog host Leo McBride, so he'll answer the questions for us. The idea is to answer ten questions, then nominate ten bloggers to answer ten questions we set ourselves. 3. Answer the ten questions. 4. Nominate ten bloggers and inform them of their nomination via social media. 5. List ten new questions for your nominees to answer. Up to you guys if you want to play along, of course, but a nice way to publicise blogs you follow. The conditions to bring about life seem unlikely to be so rare that we are the only instance of it in the entire universe. So yes, space aliens exist. Plus, we don't remember them because of Will Smith and that memory gadget of his. This is a really hard one to answer. I love speculative fiction, but that's quite a broad umbrella - a little bit of fantasy here, a little bit of horror there, some sci fi coming right up. Saying speculative fiction feels like it cheats a little bit to try and include all of them, though, so let me say science fiction most of all. And it's the kind of science fiction written by the likes of Ray Bradbury, the kind that conjured up possibilites, makes up marvels, and wraps them in the most lovingly crafted words you can find. I like reading things that open my eyes with wonder - and that can sometimes be scary, sometimes fantastic, but I most often find that feeling when looking at what you and me and the rest of the human race might do next. 3. If you’re not a vegetarian, what would you put on your burger? If you are a vegetarian, what would you eat instead of a burger? If you don’t like burgers, why not? I would have a Buddhist burger. I would want you to make me one with everything. ...and the barman says "Oi! Alien! Your translator's malfunctioning, I told you to grin and bear it!" Blimey, that's a tricky thing to decide. I guess, in my journalism career, it's launching a new newspaper that subsequently was named regional newspaper of the year. I tend to listen to music that doesn't have lyrics when I create - I find myself getting distracted if I get caught up in the lyrics, and I'm very much a sing along, dance around the room type when I get into it. So I prefer instrumental stuff - people like Jean-Michel Jarre, Mike Oldfield, Tangerine Dream, Propellerheads, and vary what type of music according to what I'm writing. For example, The Killing Fields makes for a very sinister mood, Zoolook for a more zesty, horizon-expanding backdrop. Heights. I threw myself out of a perfectly good plane to try and cure my fear of heights. It didn't work. I screamed a lot. Ohh, that's a hard one. I would say the latter, although the insecure, shy inner me would say the former. But one of the nicest thing about these last few months getting into the process of writing and publishing has been the response and interaction from others, so I wouldn't want to be without that. It can be almost as great seeing others who you respect and admire getting on and doing well as when you get that positive response yourself - even when those people are strangers who you have only got to know through social media. I'm from Northern Ireland, so I'll say the story of Fionn mac Cumhaill (Finn MacCool) who was challenged to a fight by a Scottish giant. To meet him, he built a causeway between Ireland and Scotland. In a piece of trickery, the giant Fionn gets his wife to dress him as a baby and place him in a cradle - when the Scottish giant sees him, he thinks the baby's father must be so huge that he dare not face him, and runs away, smashing the causeway behind him, leaving behind only the Giant's Causeway we still see today in Northern Ireland, a series of basalt columns on the coast making for a remarkable sight. I like my heroes mischievous. I think simply that I hope you enjoy reading them as much as I enjoy creating them. More, actually! Without the hair tearing and fretting over the exact wording of each paragraph! If you do enjoy them, I'd love a review - reviews can be priceless in letting others know what to expect. But most of all, I hope you join me as I explore... as I speculate about what the future might bring, what might be scratching at your door, or what fantasies the world might offer. For my ten to nominate, I will be nominating the following - click on their names to go to their blogs. Some dive into writing with their posts, some dabble in politics, but all are interesting in what they do and say - and while some I've never met in person, all have been supportive of my writing and the work of Inklings Press through interaction, retweets and all that good stuff. 1. Aliens arrive and announce the end of the world will be the end of tomorrow. How do you plan to go out? 2. What is your favourite genre to read and why? 3. If you had to choose - you could only read books or you could only watch movies... and never the other again, which would you choose and why? 4. Peanut bag containing the warning sign "May contain nuts". Seriously, what's the most ridiculous warning or instruction you've seen? 5. What's the one most useful piece of advice you can give to aspiring writers that you've found the most helpful in your own writing career? 6. Who are your writing heroes? Who inspired you with their work? 7. What was the book you most loved as a kid? The one you left dog-eared and battered with how many times you read it? 8. What is the work you have done that you are most proud of? 9. It's early in the year - what ambitions do you have for the rest of the year? Thanks for the nomination, Mike - appreciate the chance to get the word out on the blog!